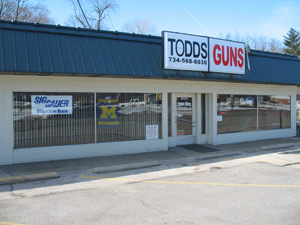 TODDS GUNS strives to be different, we are a company that is proficient in numerous types of firearms for personal protection, hunting, or something special for your collection. In addition, we have select services and products available for archery. We have had our Federal Firearm license for over 20 years and continue to provide Great Customer Service. Exceptional Products Service & Price. If we don't know the answer, we'll take the time to find out for you." Todd is a former Marine, attended Armor School through the Department of Energy and a life member of the NRA. 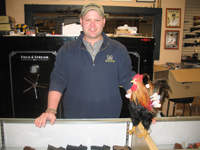 Guns have always been Todd's hobby and he has a keen interest in gaining knowledge about the industry. "We are small enough to focus on customers' needs, answer all questions,and take the time to understand each individuals' need. With lots of personal treatment we know that your experience will exceed your expectations." that we are able to Beat the Box Store Pricing."